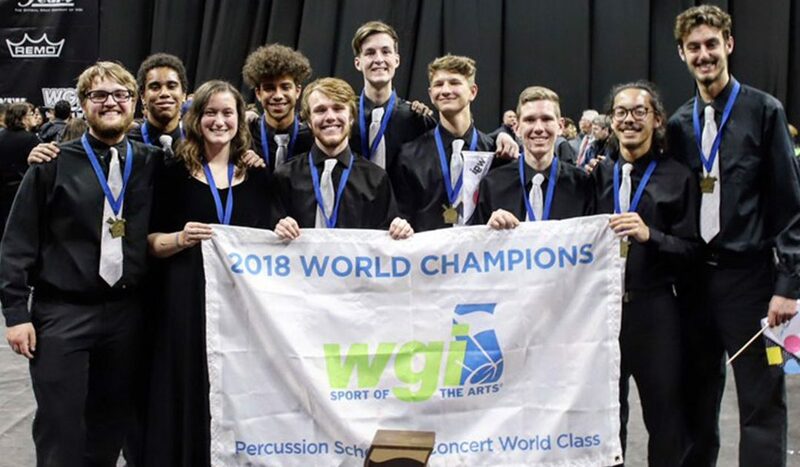 “GEOMETRIC” – The award winning percussion show performed by the 2018 WGI Scholastic World Champion, Fishers High School is the culmination of geometric shapes and concert percussion literature. In the Fall of 2017, Director Chad Kohler decided to take the 6 time Indiana Percussion State Champion to the WGI World Championships in Dayton Ohio on April 20, 2018. 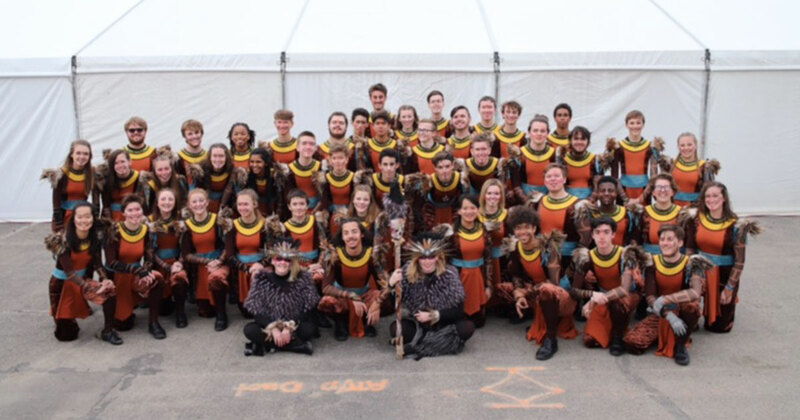 Mr. Kohler’s goal was to give his finest students an amazing opportunity to perform in the Super Bowl of Percussion Championships and to give homage to his Mother Sylvia Kohler. Mr. Kohler’s moms birthday was April 20, the date of this years championship, and 2018 marks the 20 year of her passing. Mrs. Sylvia Kohler was a Math Specialist and teacher for most of her life and used geometric shapes to teach struggling students Math in a new way. In addition, the thematic piece used for the arrangement was Ewdard Greig’s, Anitra’s Dance which happened to be Mrs. Kohler’s favorite tune. This marks the first National and World Championship for the Fishers High School Percussion Ensemble. Mr. Kohler says, “I am so proud of the remarkable students. They are the most talented group I’ve been privileged to work with. Many of my colleagues within the percussion community remarked how wonderful, elegant and creative this arrangement was written and performed”.